Gold dishes, silver accessories, fresh flowers and star-shaped cookies instantly transform a table to festive status. 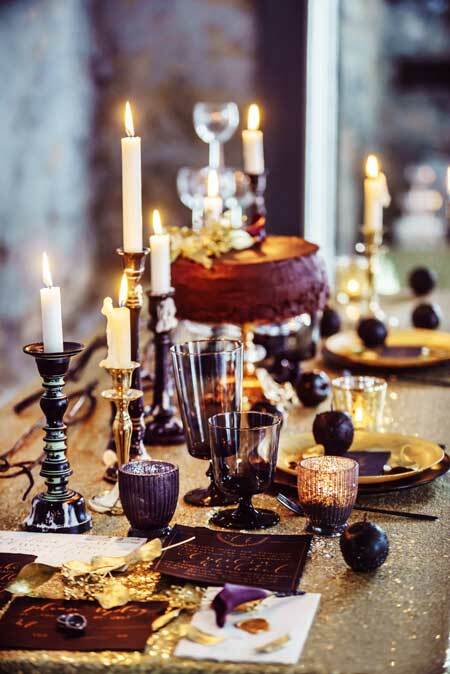 Need some bling to transform your dinner table into a Christmas affair? Be inspired by these uber bling ideas. Add some gold candlesticks, gold bows and gold or jewel-coloured votives to your table then sprinkle over some gold glitter for extra bling. 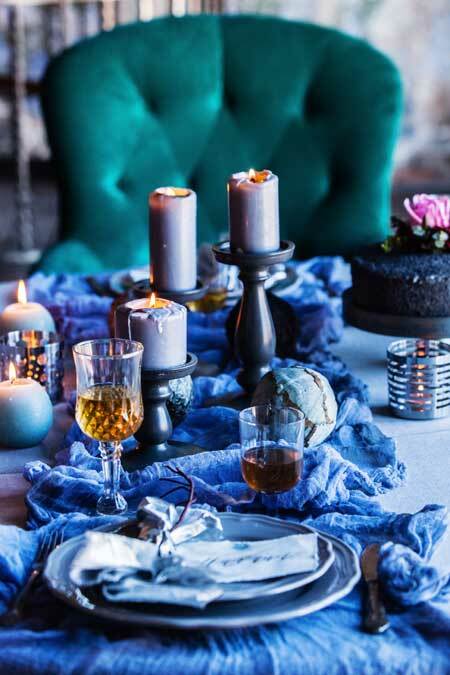 If you’re more of a silver gal, team silver candles and votives with blues and greens for a luxurious result. Dreaming of a white Christmas? 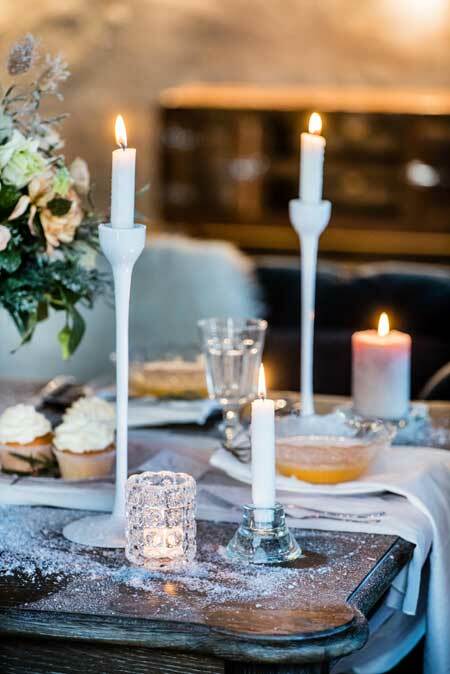 Use white candelabras and crystal or glass accessories. 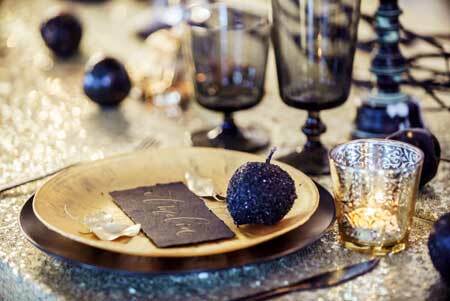 Incorporate gold plates, cake stands and accessories to your table and you’ll achieve instant glamour. Decorate cakes with fresh flowers and match your icing to your colour scheme. 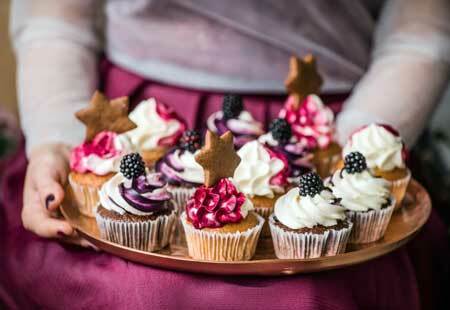 Bake some star-shaped gingerbread cookies and top your favourite cupcakes with them. 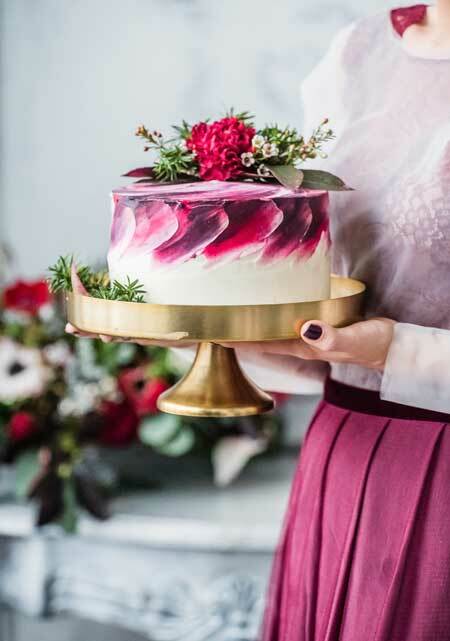 For swirly, multi-coloured icing, simply insert two-different coloured buttercream icing into your piping bag – one colour on each side – and ice as usual. Get fancy and create place names with dark paper and gold ink. 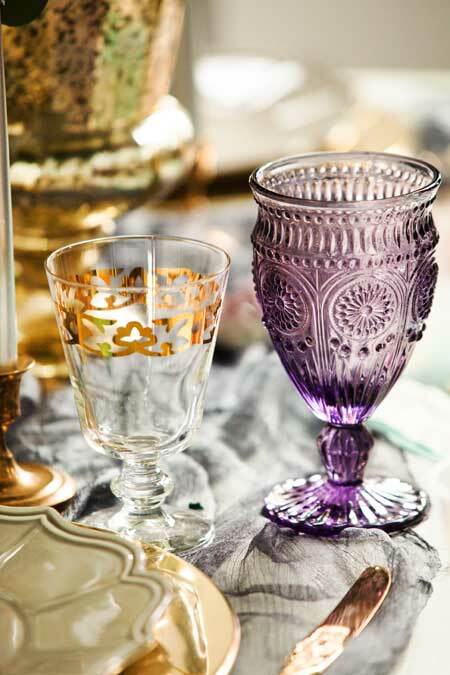 Bring out the fancy glasses and add jewel-toned cut glass for more glamour. Coloured cut glasses are often available from kitchen stores for reasonable prices. 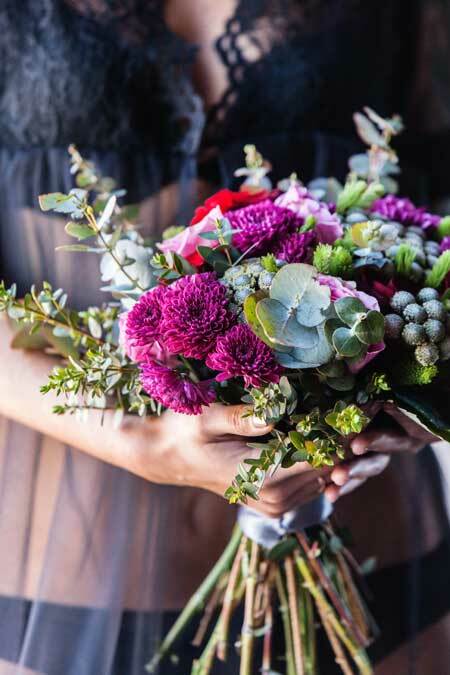 Pick fresh flowers from the garden to decorate your table. Use colours that match your scheme. Here, we’ve used pink dahlias, silver eucalyptus foliage and silver button-like brunia. 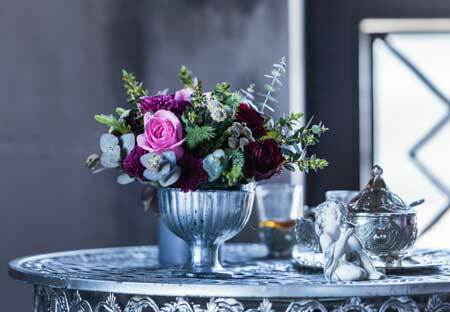 Use silver vases and accessories to match your theme. You can pick up cheap dishes and vases at your local thrift store.